Spark Chicago featured opportunities to network with fellow Palo Alto Networks users in the Greater Chicago area and the latest updates and threat research from Palo Alto Networks. At Spark Chicago there were sessions to enhance your skills, including hands-on workshops and collaborative sessions so you will be able to take home actionable solutions and strategies for key security issues. Self-park at the 210 N. Wells lot and validate your ticket at 1871 for discounted rates. $8.00 – Monday to Friday enter between 3:00 p.m. – 11:59 p.m., out by 8:00 a.m.
Saturday to Sunday for up to 12 hours of parking. $14.00 – For up to 12 hours of parking anytime. Entering the garage: Entrances are located on Wells Street and Post Place (between Franklin Street and Wells Street). Enter 210 N. Wells Self-Park and pull a “timed” ticket to lift the gate and park your vehicle. Take your parking ticket with you for validation at 1871 Reception. Start your day with a cybersecurity expert! Hear Simon Conant, Unit 42's senior threat intelligence analyst, discuss the current landscape. Simon will highlight several campaigns and review advances in malware, ransomware, and cyber threats, that adversaries are using to breach modern enterprise networks. From the low hanging fruit of redundant rules to in-depth traffic summaries, we will discuss why an optimized ruleset is important and the five steps you can take to keep your organization's firewalls running efficiently and securely. Endace’s packet capture solutions are used by some of the world’s largest banks, retailers, media companies, healthcare organizations and governments. Find out how combining Palo Alto Networks firewalls and Panorama with the EndaceProbe platform can streamline and accelerate security investigations and dramatically reduce mean-time-to-resolution. Hear from a panel of customers and Palo Alto Networks experts sharing how network management experience does and does not translate to cloud security management. An expert from Microsoft Azure will also join the panel and discuss how to marry your on-perm policy management with public cloud features. 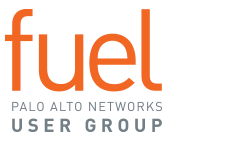 Join us to learn how Duo and Palo Alto Networks have collaborated to help organizations migrate to a modern, Unified Access Security (UAS) architecture in a structured, practical way. We will discuss how the Duo integration with Palo Alto Networks can provide a policy-based multi-factor authentication framework natively in the next-generation firewall. Plus we’ll demonstrate how Duo provides an integrated platform for information security, offering user, device, and application access security across users with varying trust levels, personal and corporate devices, and local/hosted/cloud environments. The Palo Alto Next Generation Firewall offers industry-leading capabilities for protecting your organization's assets, but how well are those capabilities deployed in your environment? In this session, we will be showing you how to use Expedition to identify how closely your Palo Alto deployment matches best practices identified by Palo Alto Networks' experts. Expedition is Palo Alto Networks’ community supported tool that has evolved out of the Migration Tool. In addition to assisting with Migration, the tool now provides a number of capabilities to assist in identifying gaps in your firewall deployment. We will be focusing on the best practice analysis functions that will assist in identifying potential areas where the platform is not being fully leveraged to protect your organization. Spark User Summit is only one day, but Fuel User Group is available to you 365 days a year! Learn more about the year-round benefits of membership, how you can access our online activities, and how you can be a part of the local Fuel chapter.